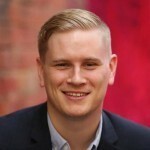 Philanthropy Australia has delivered a submission to the re-established Prime Minister’s Community Business Partnership, setting out some early wins which can help grow philanthropy in Australia, writes Krystian Seibert, Policy & Research Manager with Philanthropy Australia. The Australian Government’s re-established ‘Prime Minister’s Community Business Partnership’ (‘the Partnership’) brings together Government, community and business leaders to advise the Australian Government on strategies to foster philanthropy and volunteering. Philanthropy Australia strongly supports the re-establishment of the Partnership, which provides an opportunity to deliver real and tangible outcomes which will help grow giving in Australia. In order to provide the Partnership with a head start, Philanthropy Australia has identified some ‘Early Wins’ in a submission we’ve provided to the Partnership – these are practical proposals which we believe can be implemented relatively easily, inexpensively, and quickly. The ‘Early Wins’ address red tape burdens which are a barrier to giving; improve existing giving vehicles to make them more flexible and effective; support impact investment; foster collaboration; and help to drive awareness of giving and its benefits. Here’s a flavour of some the proposals Philanthropy Australia has put forward – for the full detail, see the submission. At the moment, a Private Ancillary Fund that’s being wound up cannot transfer its assets to a Community Foundation or another organisation operating a Public Ancillary Fund. This restriction should be removed. There are Private Ancillary Funds which while set up with the best of intentions, are no longer considered viable by their trustee. The trustee may wish to transfer its assets to a Public Ancillary Fund, so the funds can continue to be managed for the benefit of the community on an ongoing basis – perhaps through a Community Foundation sub-fund. The trustee should have the flexibility to do so. Access to capital is recognised as a challenge for Australia’s Not for Profit sector. One practical step which could improve the situation is to allow Ancillary Funds to use their corpus to provide loan guarantees for Item 1 Deductible Gift Recipients – which include various types of charities such as welfare, environmental, overseas aid and arts charities. In the United States the two most common forms of Program Related Investment are providing below market interest rate loans, and loan guarantees. In Australia, Ancillary Funds can already provide below market interest rate loans – they should also be able to provide loan guarantees so that we can leverage the combined Ancillary Fund corpus of $6.5 to $7 billion to more effectively deliver impact in our community. Reforms to the ‘Significant Investor Visa’ programme provide an opportunity to increase the flow of capital into impact investments, and to support philanthropy in Australia. The visa requires migrant investors to invest $5 million into ‘Complying Investments’ within Australia for a minimum of four years before being eligible to apply for a permanent visa. The Australian Government is reforming the visa programme, aiming to better direct additional foreign investment into areas lacking capital, such as innovation and R&D. Reforms to the visa should also include a focus on increasing capital available for impact investments. Classifying them as ‘Complying Investment’ could help grow Australia’s impact investment market, which is in need of more sources of capital. Incentives could also be introduced to encourage foreign investors to support philanthropy in Australia. For example, where a foreign investor establishes a Private Ancillary Fund in Australia as part of applying for the visa, the amount that they donate to it could reduce the amount of Complying Investment they must make. Australia’s property donation rules are complex, confusing and costly. They make giving more difficult and are in need of reform. For shares and other property worth more than $5,000, a valuation by the ATO is required – with two forms needing to be submitted. In addition to this paperwork, a non-refundable application fee of $241 is payable the ATO, on top of any costs incurred by the ATO to have the valuation undertaken. A much simpler process should be introduced. For example, gifts of listed shares should no longer be subject to unnecessary paperwork and fees – you can easily verify the value of listed shares on any given date for the purposes of checking whether a tax deduction has been properly claimed. For other property and gifts of non-listed shares, a less prescriptive and more principles based approach is needed – the onus should be on individuals to ensure their tax deduction appropriately reflects the value of the donated property. Workplace giving is a simple and effective way for employees to regularly donate to eligible charities – but we need the right policies in place to help it grow. There’s strong evidence to suggest that enabling employers to implement an opt-out workplace giving program (whereby employees must opt-out from making a modest donation from each pay, rather than opt-in) will engage many more people in giving resulting in millions more dollars being raised for the benefit of the Australian community. Where such arrangements have been implemented for new employees, this has resulted in a vast number of employees choosing not to opt-out, thus demonstrating widespread support for such an initiative. The Fair Work Act 2009 (Cth), currently does not allow for the introduction of opt-out workplace giving arrangements for existing employees. A small amendment to the Act would reduce red tape and let employers and employees make their own decisions at an enterprise level about the structure of workplace giving programs in their workplace – helping to grow this form of giving. We do need to think big if we want to take giving to the next level in Australia – these and the other Early Wins in Philanthropy Australia’s submission are not intended to be transformative proposals. The Partnership will, of course, require time to discuss and develop more substantial ‘game changing’ proposals. In the meantime, implementing some or all of the Early Wins proposed by Philanthropy Australia would help drive the Partnership’s momentum, and demonstrate its effectiveness as a vehicle for delivering practical policy changes in a relatively quick timeframe.